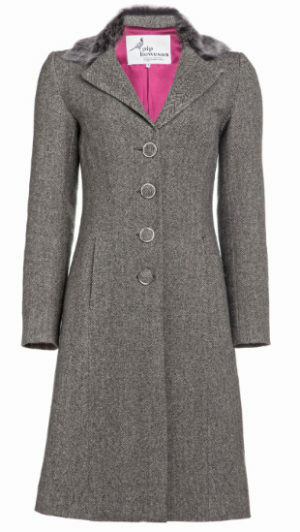 Our ever popular Scallop coat. Fit and Flare with a wonderful swing skirt concealed pockets and trimming. 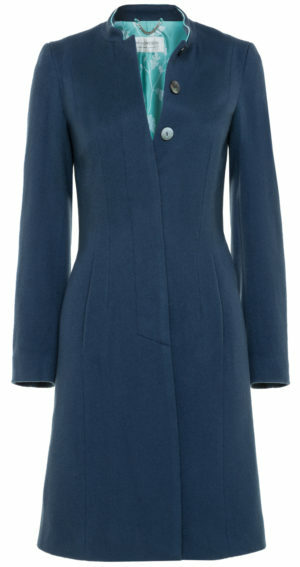 The Coat features a succession of scalloping detailed at the back seam. 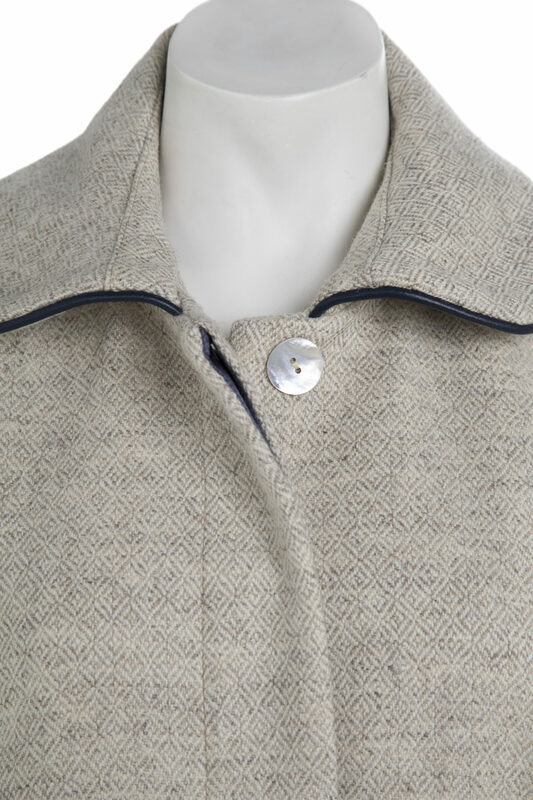 A slightly large collar with pearl buttons under a fly front linked in Silk .